Last year, Assistance League members provided 1,650 hours of reading support. Members listen to second grade students read at a number of schools within the Mt. Diablo Unified School District. 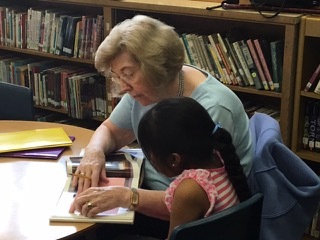 Assistance League volunteers provided 1,650 hours of listening to students practicing their reading skills, to encourage the joy of reading. The goal of this program is to improve student oral reading skills, comprehension and fluency while giving them the opportunity to practice reading aloud, one-on-one, to a caring adult.